A U.S. Border Patrol agent was assaulted during an operation that led to the arrest of two men who are now accused of being scouts for human and narcotics smugglers. 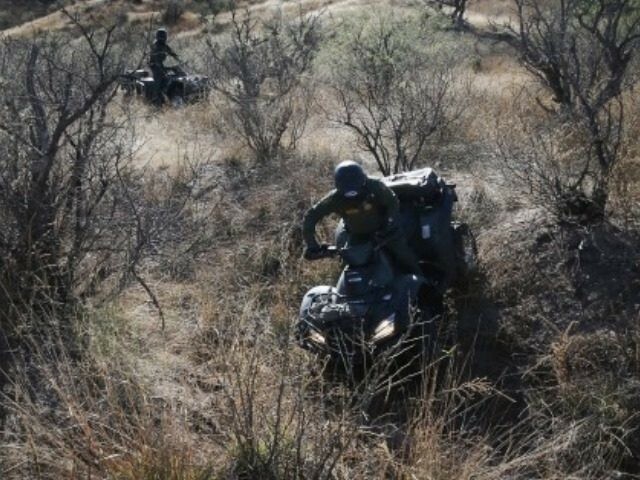 Border Patrol agents were conducting an interdiction operation designed to catch scouts who are hired by criminal organizations to help in the smuggling of illegal aliens and drugs through southern Arizona. The operation was carried out over the Memorial Day weekend, according to a statement obtained by Breitbart Texas that was released on June 2. Agents from the Casa Grande Station Mountain Team who are highly trained in quickly responding to the presence of these scouts and hunting them down, began their search at 5:30 a.m. on May 29. Agents were being cautious in their actions as two agents had already been assaulted by scouts over the past two months, the statement revealed. As agents approached one of the observation posts, a scout assaulted one of the mountain team members in an attempt to escape capture. Agents pepper sprayed the man and took him into custody. The man, identified only as a Mexican national, was charged with assault on a federal agent and with conspiracy charges. Breitbart Texas previously reported on a CBS5AZ report on the scouts in this mountainous region in southern Arizona. Investigative reporter Morgan Lowe went up into the mountains and eventually stumbled upon a man who appeared to be working as a scout. The lookout had a cell phone and a two way radio, and Lowe says he saw a police scanner as well. Becoming concerned for his personal safety, Lowe quickly retreated back down the mountain. During his excursion he supplies, a makeshift kitchen, and solar panels for charging electronics gear. The stash was hidden under camo between large boulders to keep them hidden from law enforcement. A second suspect was discovered by the Border Patrol team and arrested for “attempt and conspiracy,” the Border Patrol statement revealed. During the processing of this scout it was learned the man has an active felony warrant for homicide in Mexico. During the operation, agents also discovered four solar panels, two binoculars, eight cell phones, two radios, and two radio chargers. The Tucson Sector has proven to be a dangerous area for Border Patrol agents. Breitbart Texas reported on April 19 about the assault on an agent near Cowlic, Arizona. During an arrest of a group that was allegedly smuggling marijuana, the smugglers began throwing large rocks at the agents. One of the agents fired his weapon at a smuggler. The suspects were taken into custody without injury. In January, another agent was attacked by a smuggler with a “football-sized rock, Breitbart Texas Managing Director Brandon Darby reported. That agent was injured in the attack, but was able to subdue and arrest his attacker. Just one month ago, another agent was nearly run over by an alleged drug smuggler who attempted to run over the agent at the Casa Grande Checkpoint. The man who was later learned to be a parolee fled the checkpoint in a Dodge RAM truck. He was eventually captured after other agents deployed spike strips to disable the truck. Agents discovered 57 pounds of marijuana in the truck. That agent was not injured. During the last fiscal year, ended September 30, 2015, the Tucson sector accounted for about 20 percent of all assaults on Border Patrol agents. Nearly ninety agents were assaulted during that period, Border Patrol officials stated. They did not report on the number of injuries that resulted from these assaults. One of the factors contributing to the high number of assaults against Border Patrol agents is the lack of or weakness in the prosecution of these assaults. Breitbart Texas’ Ildefonso Ortiz reported in December 2015 about an assault on a Border Patrol agent in Texas where the suspected attempted to strangle the agent and take his gun away from the agent. Instead of being prosecuted for a felony assault or even attempted murder of a federal agent, the man was allowed to plead guilty less than a month later on a misdemeanor assault charge. Ortiz spoke with a Border Patrol union representative about the incident. “An assault on any of our agents is a serious matter and should be prosecuted to the fullest extent of the law, anything short of that is a disgrace. The federal government needs to stand up for those that protect our nation,” said Chris Cabrera the Vice President for the 3307 local chapter of the National Border Patrol Council in an interview with Breitbart Texas. The NBPC is the union that represents border patrol agents. Often times, the assaults are not prosecuted at all.